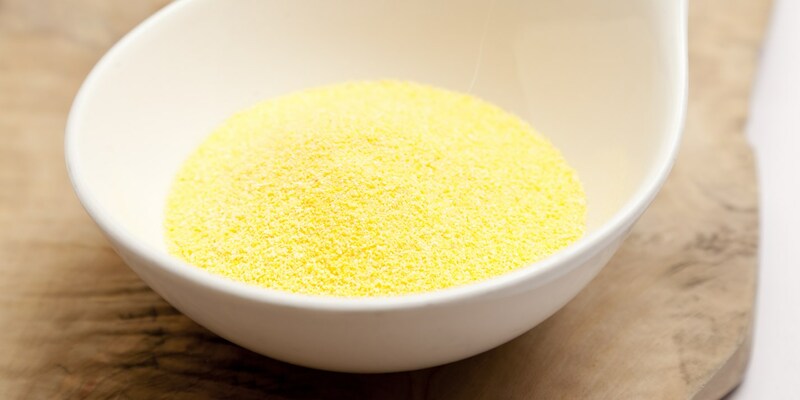 Polenta, or cornmeal as it is also known, makes a good alternative to wheat and potatoes. Polenta can sometimes be tricky to cook as it has a habit of sticking to the bottom of the pan and also a skin may form if it is not stirred enough. Cooking sous vide eliminates these problems and ensures a consistent result every time. For a richer polenta, substitute the water for milk or for added flavour you can use chicken stock instead of water. The polenta can be poured into a tray lined with cling film and set in the fridge. It can then be cut into portions and pan fried. Tom Aikens adds basil to his polenta and Graham Campbell add red peppers and serves it with red pepper purée, green beans and soy foam.